We would be honored to host your retreat! 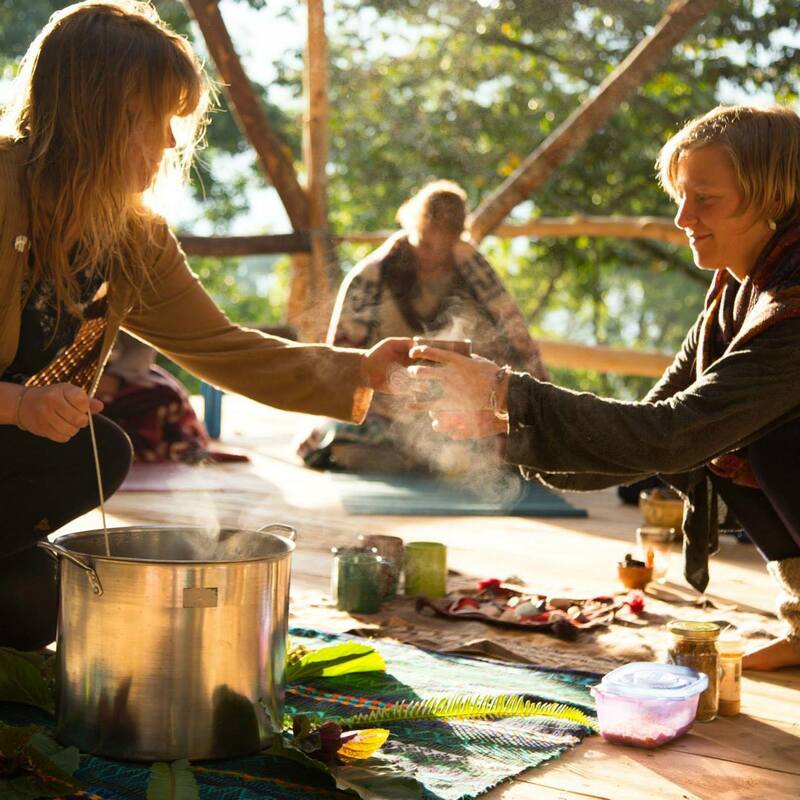 With a myriad of wonderful amenities to offer, we think you'll find the Mystical Yoga Farm to be a truly magical and unforgettable venue for your group. 3 group studios (for yoga or other classes) with stunning views, hardwood floors, mats, props and altars with capacity of up to 30 students. All packages include 3 delicious vegan meals each day, as well as unlimited beverage service of organic teas and purified water. Our food is home grown (or locally sourced) and organic wherever possible. Our kitchen is able to most special diets with enough notice. We offer shared accommodations at a daily rate of $55 per person, and private accommodation for $65 per person. (See our Accommodations page for more info on our lodging spaces.) Our price always remains the same, and typically the facilitators will charge their students the total cost of the course. In most situations, facilitators will will forward the total cost of room and board for all expected guests to the Mystical Yoga Farm one week prior to the start of the retreat. We require a non-refundable deposit of $50 per person to hold and guarantee requested dates (deposit rates may vary depending on length of retreat). We recommend facilitators arrive minimum 24 hours before your retreat begins. *Some services offered at an additional cost. Please inquire for more info. We're very excited to connect with you! While the village of Santiago is just a few minutes away by boat, our beautiful and sacred land is relatively off-the-grid. In order to preserve its natural harmony and spiritual energy (and to encourage our guests to disconnect from the digital world during their stay), we have purposely chosen not to bring wi-fi to the farm. For that reason, we kindly ask for your patience and understanding in replying to your message. Here at the farm we do our best to respond to all inquiries as soon as possible, and always endeavor to answer within 48 hours (Monday through Saturday).